Players will soon be able to pit their creatures against Pokemon owned by other users. Pokemon Go is a great game for kids and adults alike, encouraging users to get outside and explore the world around them in order to collect pocket monsters that appear on the in-game map. 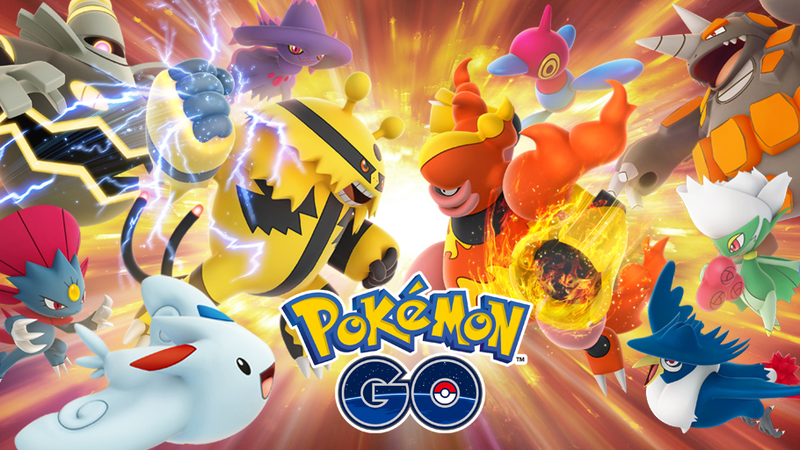 But for all of the updates and new features that have been added to the game since it launched in July 2016 (things like a friends list and Pokemon trading), one major element was always missing: multiplayer battles. The long wait for this feature is almost over, as the game’s developer, Niantic, revealed that multiplayer trainer battles are coming soon to Pokemon Go. Once this feature launches, players will be able to compete against both friends and other trainers at any time using a special Battle Code. By default, trainers will need to be near each other in the real world before they can compete. However, users who have reached the “Ultra Friends” and “Best Friends” levels can compete against each other across any distance. Each battle will allow players to choose three Pokemon for their team. Battles take place in real-time (rather than being turn-based, as is the case in a traditional Pokemon RPG), so both teams can attack at once. At the end of each battle, both players will receive in-game rewards. This includes a chance to receive the rare items required to evolve certain Pokemon. 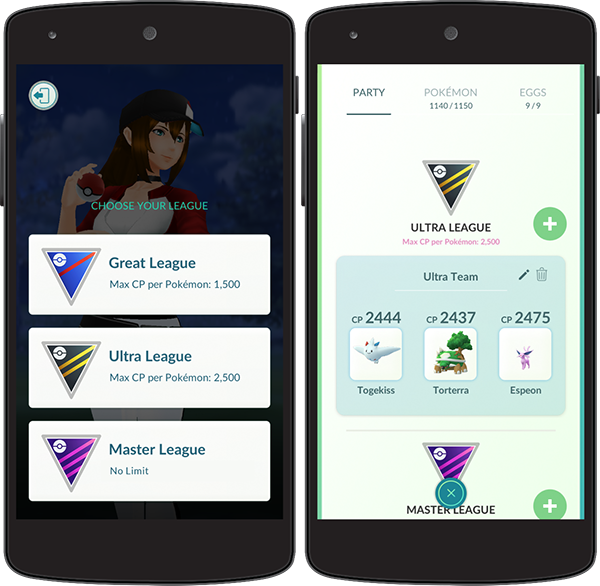 Since a lower-level player may have weaker Pokemon than someone who has been playing the game from the beginning, the battle feature will split competitions into three leagues based on a Pokemon’s CP. In the Great League, only Pokemon with a CP of 1,500 or below can compete, while the Ultra League has a higher limit of 2,500. Finally, the Master League has no limit, allowing all Pokemon to compete. 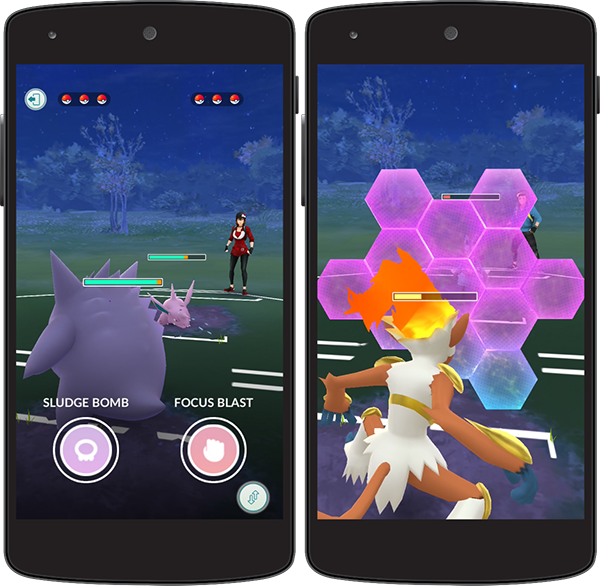 During a trainer battle, players will be able to trigger each Pokemon’s Fast and Charged Attack moves. Before battling, players will also have the option to spend Stardust and Pokemon Candy to unlock a bonus Charged Attack for their Pokemon. Users can defend their creatures during a battle by activating a special Protect Shield, but they’ll only be able to use a limited number of these shields before running out. Finally, players will be able to practice their battling skills by competing against the game’s team leaders (Spark, Candela, and Blanche). Users can earn in-game rewards by training with a team leader once per day. Prizes will include Stardust, which can be used to power-up Pokemon, increasing their CP. Trainer battles will launch in Pokemon Go sometime in December 2018.